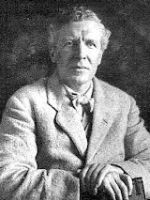 The Powys Society was founded to promote and encourage the appreciation and enjoyment of the writings of John Cowper, Theodore, and Llewelyn Powys. 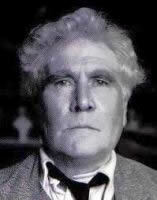 All three writers attract passionate support: John Cowper Powys’s expansive visionary novels have been hailed as comparable with the fictions of Dostoevsky and Tolstoy; T. F. Powys’s compact biblical prose combines mordant wit, melancholy, and profound meditation on life and death; Llewelyn, known mostly for his essays, has been described as ‘a philosophical poet relating the pleasures of his senses in the purest prose of his time.’ These three brothers are only three of the eleven children of Charles Francis Powys and Mary Cowper Powys whose remarkable family this website is glad to introduce. If you are an admirer, an enthusiast, a reader, a scholar, or a student of anything Powysian, then this international society would like to hear from you, and welcomes your participation in its activities. A membership pack on joining. 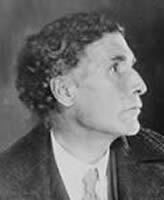 The annual Powys Journal devoted to the study of the life and works of John Cowper, Theodore and Llewelyn Powys, plus three 50 page Newsletters (March, July and November). The Society is active in promoting the life and works of the Powys family. Speakers are arranged for special events. Opportunities to meet fellow Powysians and those who share your interest. An annual weekend Conference and Powys Days. "Theodore Powys wrote extraordinary fables of English country life. Bloomsbury admirers hailed them as the singular works of a dark and brooding genius." - P. Wright.